Intercessory prayer is the most common form of prayer — and, for many people, also the most confusing and misunderstood. This classic spiritual practice, part of every religious tradition, takes place in private prayer times and public worship services, at bedsides and peace vigils, in small prayer groups and stadiums full of people observing a moment of silence. Yet we usually don't talk about this type of prayer or ask some of the fascinating questions surrounding it. This Online Retreat, originally designed as a five-week retreat with three sessions per week, will lead you deeper into the intercessory prayer life you most likely already have. Emailed sessions explore some aspect of this prayer practice. For example: Who is the God to whom we pray, and what images do we hold of God? What are we doing when we engage in intercessory prayer? Are we telling God what to do? How do we respond when prayers seem to be unanswered? The emails encourage you to expand the circle of your prayers, from praying for family and friends to praying for enemies and for those who are ill or have died. You'll discover ways to pray for justice and peace and explore many different forms of intercessory prayer, including some nonverbal methods. This retreat will be led by Jane Vennard, one of Spirituality & Practice's Living Spiritual Teachers and the author of some of our very favorite books on prayer. She is a United Church of Christ minister who has been a spiritual director for more than 20 years. She is Senior Adjunct faculty of prayer and spirituality at Iliff School of Theology in Denver, Colorado. She teaches and leads retreats in international ecumenical settings. 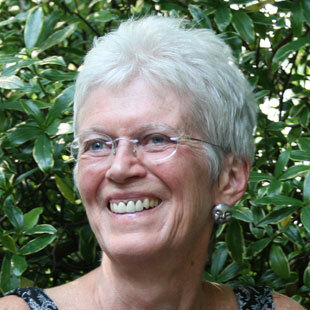 Jane contributes her stories and guidance to the emails and also brings her experiences leading prayer retreats to two one-hour teleconferences that were recorded during the first offering of this course. This is a unique opportunity to explore and practice intercessory prayer.